Dr. Aaron Strumwasser is a general surgeon in Oakland, California and he works at several hospitals in the area, including Los Angeles County-USC Medical Center and Keck Medical Center of USC. 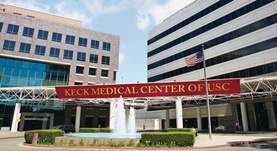 He got his diploma from Keck School of Medicine of USC and did his residency program in general surgery at UCSF. 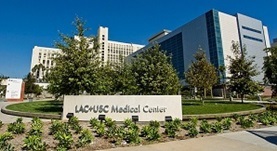 Dr. Aaron Strumwasser also completed a fellowship in surgical critical care at the University of Southern California - LAC+USC Medical Center. The doctor is certified in surgery and surgical critical care and has a professional experience of more than 10 years. Dr. Aaron Strumwasser has contributed to 3 publications. Hemodynamic monitoring of the injured patient: From central venous pressure to focused echocardiography. Strumwasser, A.,Frankel, H.,Murthi, S.,Clark, D.,Kirton, O.; J Trauma Acute Care Surg. 2015 Dec 30. The peril of thoracoabdominal firearm trauma: 984 civilian injuries reviewed. Berg, R. J.,Inaba, K.,Okoye, O.,Karamanos, E.,Strumwasser, A.,Chouliaras, K.,Teixeira, P. G.,Demetriades, D.; J Trauma Acute Care Surg. 2014 Dec 11. Death or dialysis? The risk of dialysis-dependent chronic renal failure after trauma nephrectomy. Dozier, K. C.,Yeung, L. Y.,Miranda, M. A.,Miraflor, E. J.,Strumwasser, A. M.,Victorino, G. P.; Am Surg. 2013 Jan.